As we enrich our lives with all big (or small) victories, the same important decision comes every single time: with which beverage we should make toast? ;) Here we pour ourselves a drink that not only gives you hyper powers … but loosens you up a bit too. Yes, it’s the IRISH COFFEE. 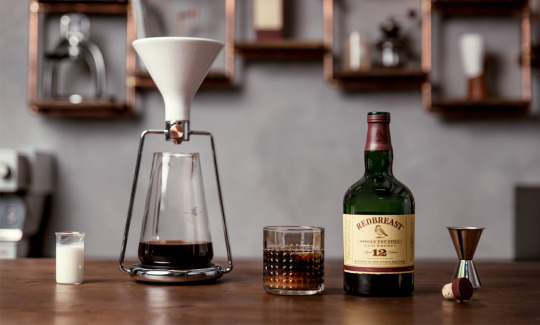 - Brew some nice coffee with pour-over, immersion or cold drip technique. (With GINA you’ll easily make all 3, but we prefer the cold drip). Pour it in a glass filled with ice cubes. - Stir well and finally pour the lightly whipped cream slowly over the backside of a hot teaspoon so it caps the cocktail below perfectly. - Cheers! You’ve just made yourself a drink that will make this last eve worth remembering. 📎 NOTE: don’t stir cream with mixture below. Rather enjoy drinking this delicious elixir all the way through that nice and firm cream. The best way to one’s heart is through his stomach. Coffee (and food in general) always evoke positive feelings. Specially if we take time to consume them next to the person we like. So take time to brew some nice coffee and to really enjoy it with your special one. Caffeine makes people more attentive. Besides evoking positive vibes between the two of you, you will also receive more attention from your loved one (and vice versa). Caffeine is a stimulant. As such it energizes your whole body, gets your heart pumping and your blood running wild - which are basically the same feelings we experience when excited with love. You already know that freshly ground coffee beans are a gift from heaven. Now it’s time to turn this into magic. With some great brewing techniques! What (also) makes a good coffee maker? You know the saying "clothes make the man"? Well, the same goes for coffee brewing instruments ant the materials used for them. Read which materials best fit a coffee maker. How to Grind your Coffee? Should I grind my coffee? But why? What equipment do I need? Can I even do it? How? Too many questions? ... I need coffee. 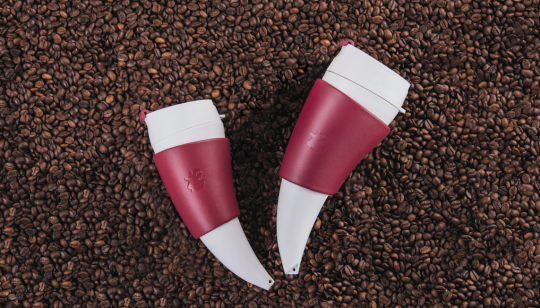 Read our short grind guide and enjoy the best possible coffee, no matter the brewing method.